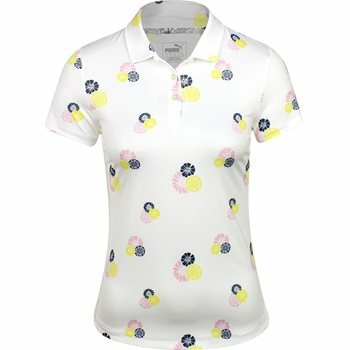 Get your female youth ready for golf in the Puma Blossom polo. It features Dry Cell moisture wicking technology that wicks moisture away from the skin to keep it cool and dry for all day comfort. She will also be comfortable with stretch fabric that allows movement with ease. The polo is made with durable polyester so it can be washed and worn as much as needed. The polyester is also resistant to shrinking and wrinkles.